The Russian Revolution of 1917 sent sparks all over the world. In 1919 two of those sparks landed in Seattle, USA, and Winnipeg, Canada. Tens of thousands of workers launched general strikes that threatened the bourgeoisie but at the same time proved that unionism is no substitute for revolution. Seattle and the Pacific Northwest had long been hotbeds of unionism and left-wing politics. The anarcho-syndicalist IWW published its paper “Industrial Worker” from its Spokane (Washington) headquarters. In 1918 the Seattle Labor Council began publishing the Union Record, the first labor newspaper in the US. It was the only daily to print Lenin’s April 1918 speech to the Congress of Soviets. Twenty thousand copies were distributed in Seattle. On January 21, 1919, 35,000 Seattle shipyard workers walked off the job, and 14,000 more in Tacoma. Their union had made a no-strike no-wage-increase deal for the duration of World War I and they had some catching up to do. Later that year, these same workers would refuse to load guns destined for counter-revolutionary forces in Russia. On February 2, union representatives met to plan a general strike in solidarity. The Union Record published an editorial by Anna Louise Strong announcing the strike for February 6. It promised that the unions would not simply shut Seattle down — they would run it themselves. Strong concluded that “no one” knew where this would lead. It would have been much better if masses had the idea it would lead to communist revolution! About 100,000 workers went out, including 40,000 nonunion workers. Japanese hotel/restaurant workers joined despite having been shunned by racist American Federation of Labor (AFL) leaders. Strikers set up their own childcare, and kitchens that served 30,000 meals daily. They organized essential services like garbage collection and hospital laundry. Three hundred World War I veterans formed an unarmed security force. The strikers, within a couple of days, showed that workers could run society and provide basic needs without the bosses and without bureaucracy. And the workers who did this were not paid a wage. This helped many workers see that society could do without money and wages. The strike lasted only five days. The reactionary AFL national leadership pressured local leaders to call it off. The mayor of Seattle brought in hundreds of cops, military, and armed vigilantes. This was more opposition than the strikers had expected. The shipyard workers stayed out until March 11. Meanwhile, the same forces were at work in Winnipeg: Years of hardship during WWI. Broken promises of postwar prosperity. A history of union and socialist activism spurred on by the revolution in Russia. And the bosses terrified that revolution would spread. The building workers walked out on May Day, 1919. Two weeks later, thirty thousand joined them in a general strike. Five hundred women telephone exchange operators were the first to walk. As in Seattle, the strikers guaranteed essential services. Veterans played an important role in supporting the strike –10,000 rallied at the legislature. Dock workers in London, England, and Sydney, Australia, refused to load Canadian ships in solidarity. Then the bosses cracked down. On June 21, the RCMP (national police) attacked a demonstration of strikers and veterans, killing two and injuring 30. Fleeing demonstrators were beaten by hundreds of anti-strike vigilantes. The RCMP and military patrolled the streets with machine guns. The Winnipeg strikers were not prepared for this level of violence. They ended the strike a few days later. 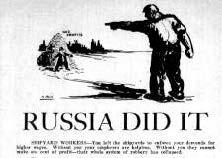 The Seattle and Winnipeg strikes are often portrayed as defeats for unionism, especially the IWW’s “one big union” strategy. They certainly showed that unionism, however militant, can’t stand up to the bosses’ state power. To beat the bosses, you need a mass revolutionary communist party with a red army. In communism, there will be no bosses or their cops. The Red Army will defend the revolution and help the working class provide what the masses need. The masses, mobilized by the party, will deal swiftly with armed reactionaries. Thousands of workers learned an important lesson from the 1919 strikes. In the US, they flocked into the newly formed Communist Party USA, formed only months after the Seattle general strike. The best leaders of the IWW – including Anna Louise Strong — rejected anarcho-syndicalism and embraced communism. The Canadian communist party was founded two years later. 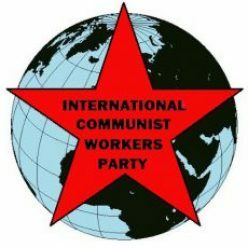 Today we understand the need for one International Communist Workers’ Party! And we must see even more clearly that it’s not enough to resist capitalism or try to roll back its attacks. We have to wipe capitalism out forever with communist revolution.